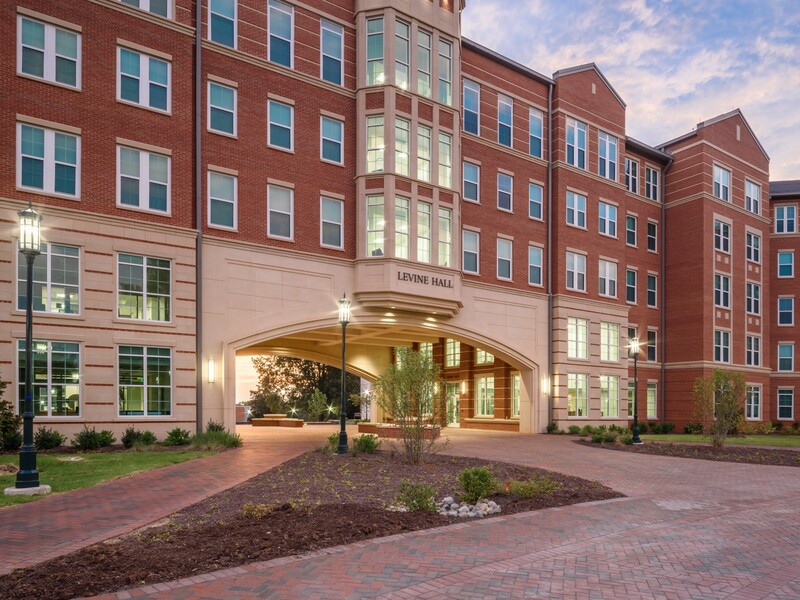 After the success of UNC Charlotte’s Hunt Residence Hall in 2012, the university engaged the same team members to complete Levine Hall, a 470-bed residence hall that defines a major entry to campus. 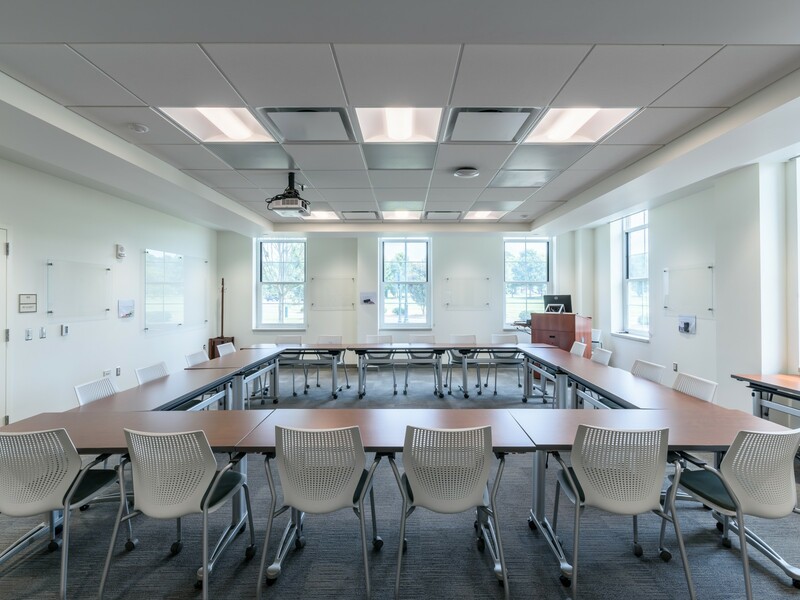 Levine Hall is designed to support the Honors College/Levine Scholars Programs with a mix of unit types to appeal to freshmen, sophomores and upperclassmen. 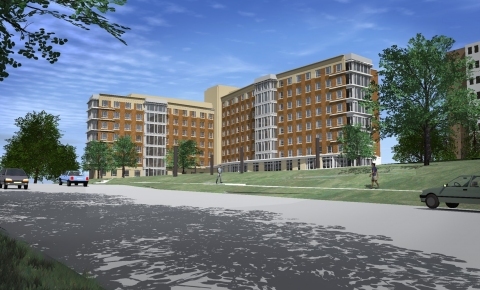 Primary unit types are four-bedroom suites and four-bedroom apartments. 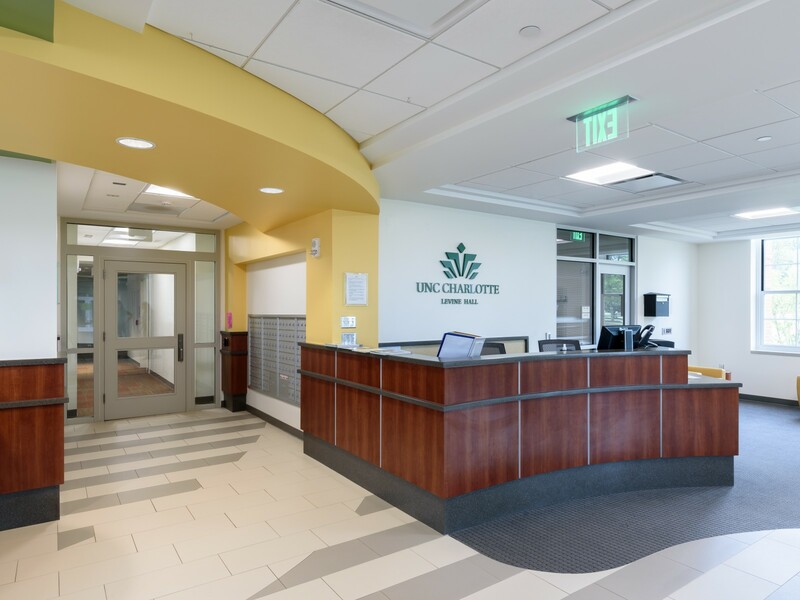 Each floor also has a large central lounge and studies at the ends of the corridor. 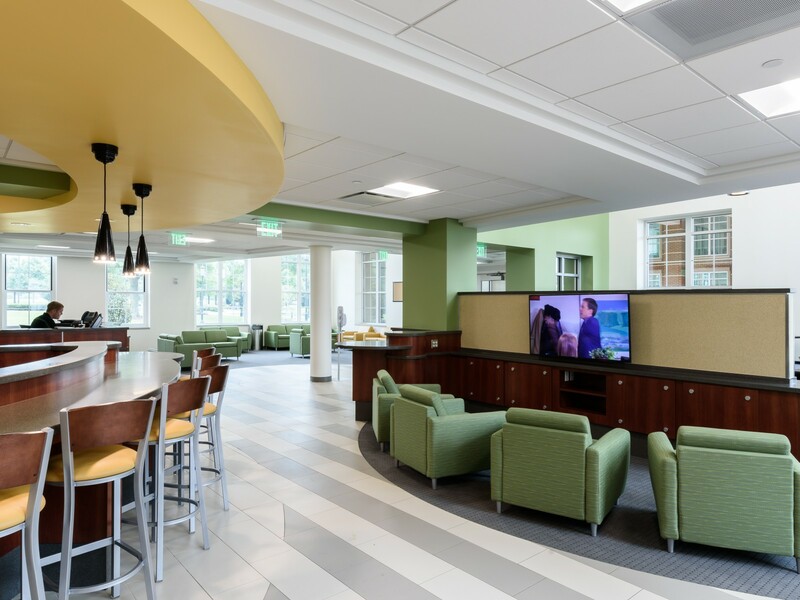 Community spaces include a lobby, lounge, resident kitchen, laundry, and meeting spaces. 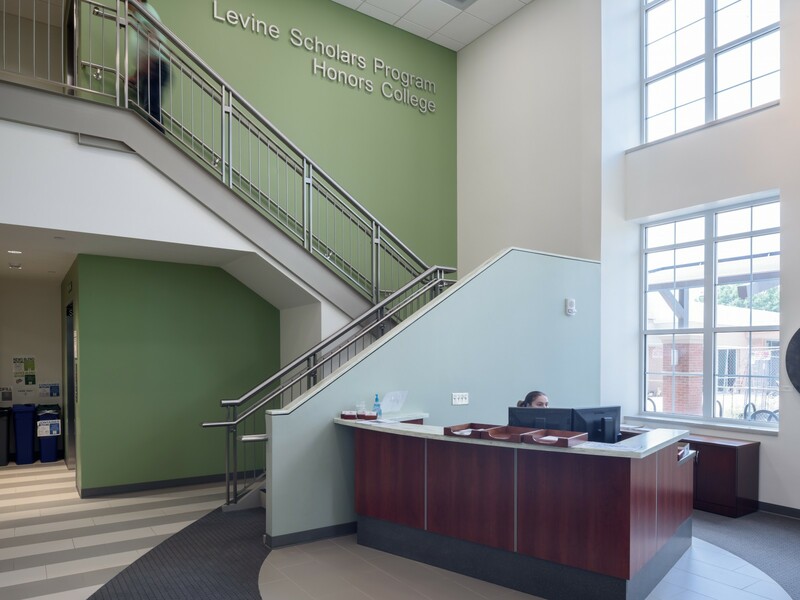 Levine Hall is located at a major entry to campus which led to a design that opens to engage the entry. The extended ‘Z’ shape creates a significant open lawn which leads to a large arched opening. 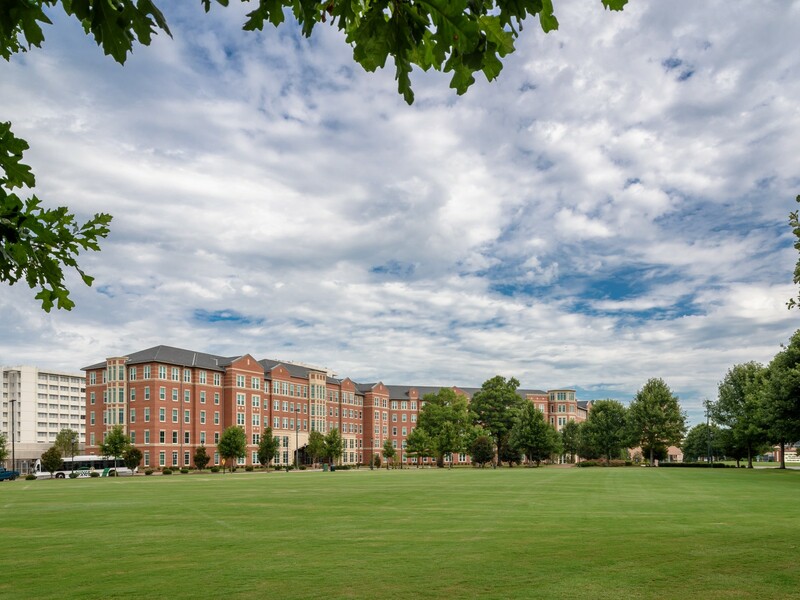 At this opening are entries to both the Residence Hall and the Honors College zone to provide separate identity and allow independent operation while encouraging regular use by residents. 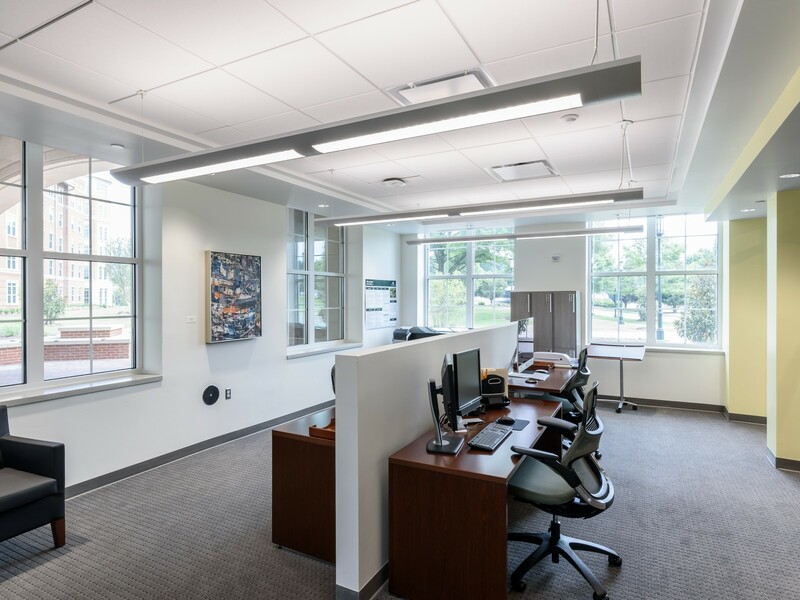 The sustainably-designed project has received a level Three Green Globes rating through the Green Building Initiative. 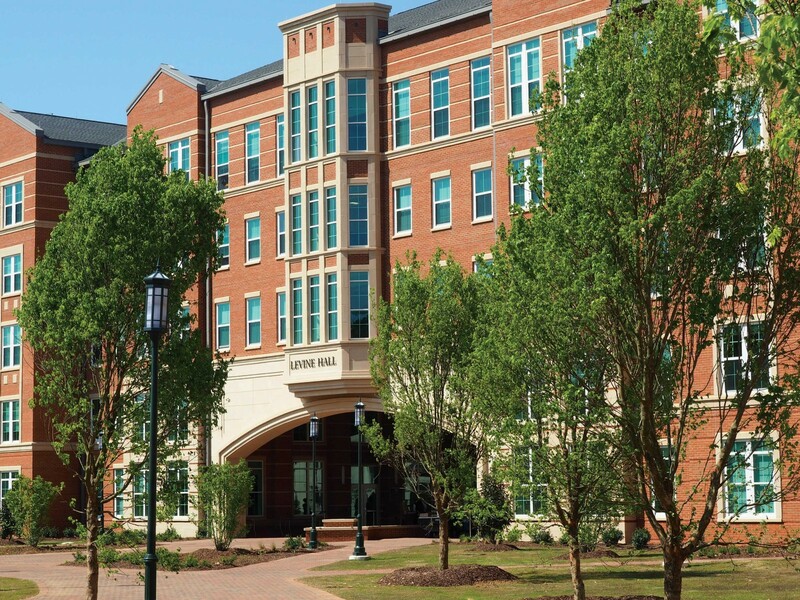 Levine Hall is a showcase project for UNC Charlotte. 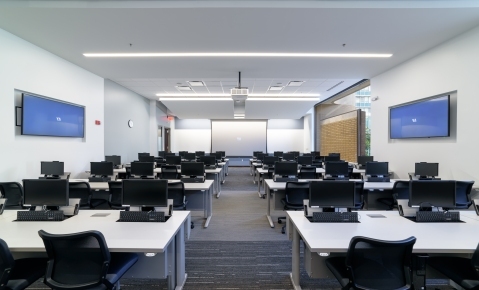 The students love the building with its great views, open and inviting lounges, and comfortable living space.